What makes the area around Morecambe Bay special? The area around Morecambe Bay is one of the UK’s most important biodiversity hotspots. The diverse geology and landscape features and coastal and climatic influences have created an extraordinary diversity of habitats, which are home to internationally significant populations of birds, flora and invertebrates. Coastal and floodplain wetlands– saltmarshes, lowland raised bogs and freshwater wetlands in valleys. Species rich grasslands – on coastal headlands and limestone escarpments. 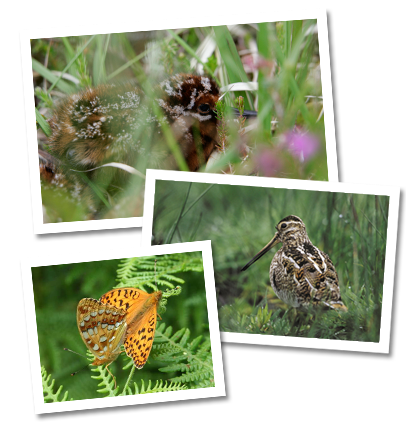 Native woodlands- supporting rare butterflies, plants and woodland birds. The transitions between these habitats contributes to the area’s outstanding diversity, as within a short distance it is possible to move from inter-tidal habitat to saltmarsh to terrestrial habitats such as unimproved grasslands, heath, swamp, fen, mire, woodland and scrub. The terrestrial habitats around Morecambe Bay are the focus of activity for the Morecambe Bay Wildlife Network (MBWN). Immediately adjacent is Morecambe Bay itself, with one of the biggest over-wintering and passage populations of wading birds and wildfowl in Britain, forming a crucial part of a network of estuaries where migrating birds can feed and roost before continuing on with their long journeys. The significance of the Bay is recognised by multiple international nature conservation designations. The mosaic of habitat supports a huge diversity of species including a range of nationally significant endemic and/or rare and declining flora such as Teesdale violet, autumn lady’s tresses and spiked speedwell plus butterflies and moths, in particular high brown fritillary, pearl-bordered fritillary butterflies and the belted beauty moth. It is the only place in the world where the Lancastrian whitebeam occurs and the only site in north-west England (at RSPB Leighton Moss) where the rare bittern breeds. The MBWN area includes several internationally designated sites including the Witherslack Mosses Special Area of Conservation (SAC), Morecambe Bay Pavements SAC, Leighton Moss Special Protection Area (SPA) /Ramsar site and many nationally important Sites of Special Scientific Interest, including Heysham Moss, Arnside Knott and Far Arnside. Although, Morecambe Bay and surrounds are a nationally recognised hotspot for biodiversity, even here many species are experiencing significant declines and there is a real danger of losing certain breeding species. There is an urgent need to restore, expand and connect the habitats that these species rely on in order to address the causes of these declines, underpinned by climate change. Scoping work on the potential to restore, create and join up habitats of importance has been carried out. This work clearly shows that this there is significant potential to achieve this on a landscape scale. Through the MBWN, we have been focussing our collective efforts on a series of high priority sites, which form the basis for a coherent network of wildlife sites, resilient to the effects of climate change. The Morecambe Bay Wildlife Network (MBWN) are aware of proposals to establish an Internal Drainage Board (IDB) in the Lyth valley (and surrounding area) led by the South Cumbria Water Level Management Group (SCWLMG). 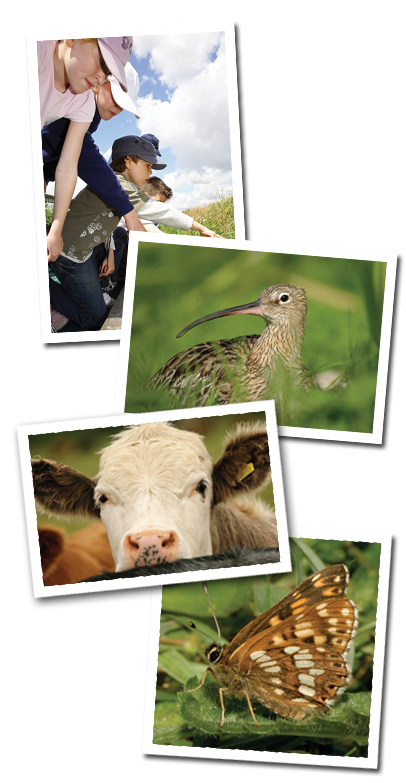 The MBWN is committed to working with the SCWLMG, the Environment Agency and other partners to secure the benefits for communities and the natural environment, that sustainable land management can provide. Morecambe Bay itself is an internationally important nature conservation site, supporting one of the biggest over-wintering and passage populations of wading birds and wildfowl in Britain. A range of nationally significant endemic and/or rare and declining flora occur within the habitats fringing Morecambe Bay, including the Teesdale violet, autumn lady’s tresses and spiked speedwell plus butterflies and moths, in particular high brown fritillary, pearl-bordered fritillary butterflies and the belted beauty moth. It is the only place in the world where the Lancastrian whitebeam occurs and the only site in north-west England (at RSPB Leighton Moss) where the rare bittern breeds.